The Stop, Breathe and Think App is designed to help you be more mindful and compassionate using a meditation guide. 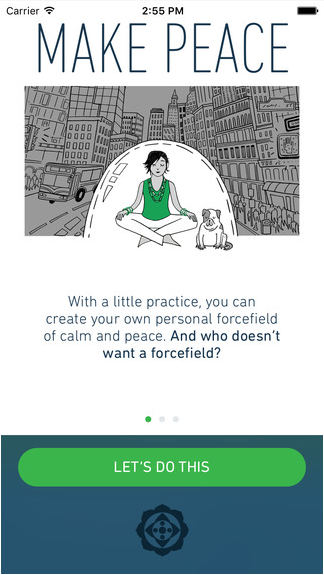 You can check in daily, track your progress, and feel more calm. I like that some of the recordings allow users to select the length of time they would like to listen for. I also like the self meditation timer option. I would suggest young people only do the mindful breathing exercise to start with, and then body scan, and then moving on to the others. It will be particularly helpful for young people with anxiety, stress, or those seeking more meaning in life. The simplicity of the design. The soothing voice that talks you through the meditations. 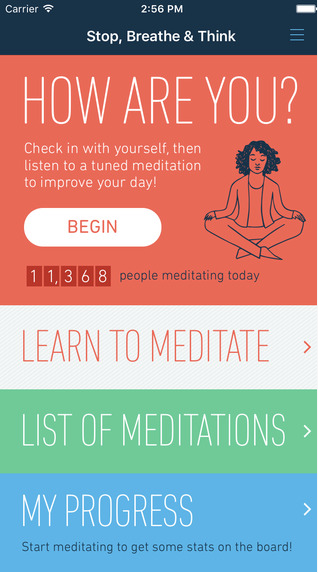 How it asks you questions if you are unsure what meditation is right for you and will give you a list. The length of the meditations, I would like there to be a few more shorter ones rather than long ones. Meditations that you can do on the run when you have a couple of minutes and need time out. No that many free choice options. It's really calming to hear, when I just need to relax or remember to breathe it reminds me.